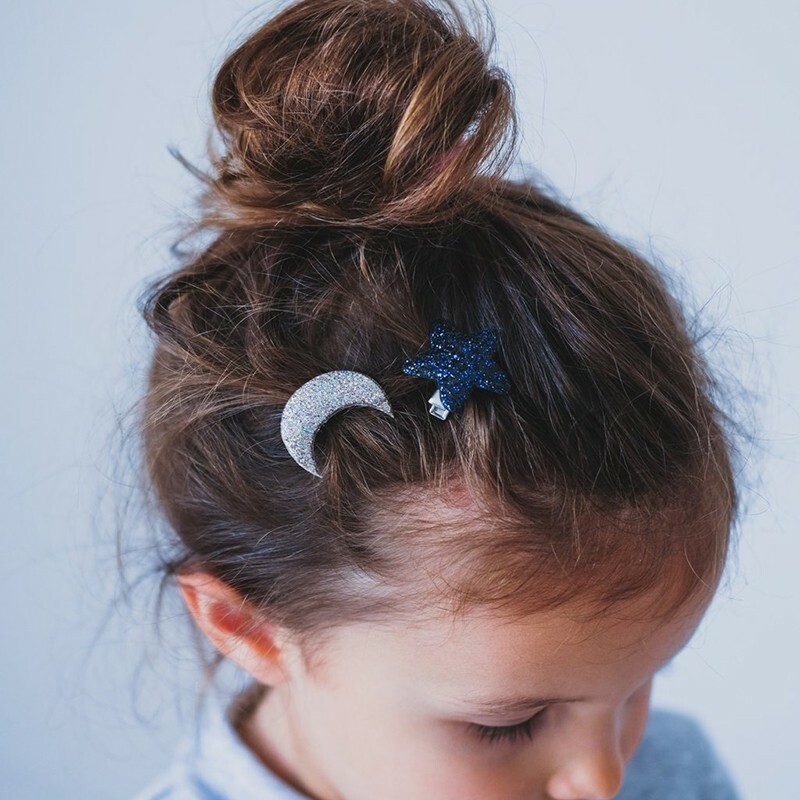 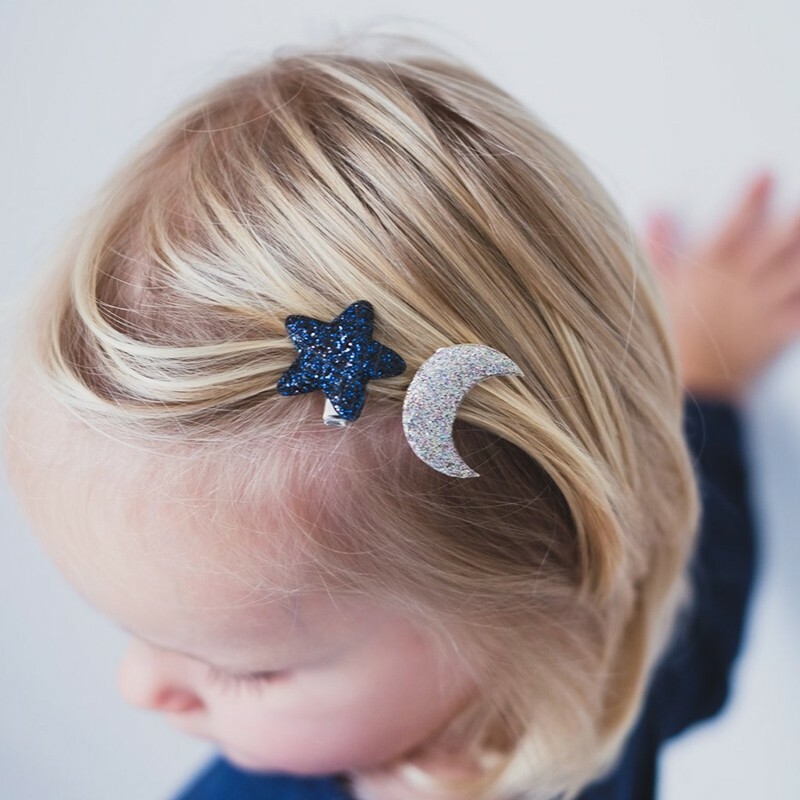 For little girs, small glitter clips that will delight all children! 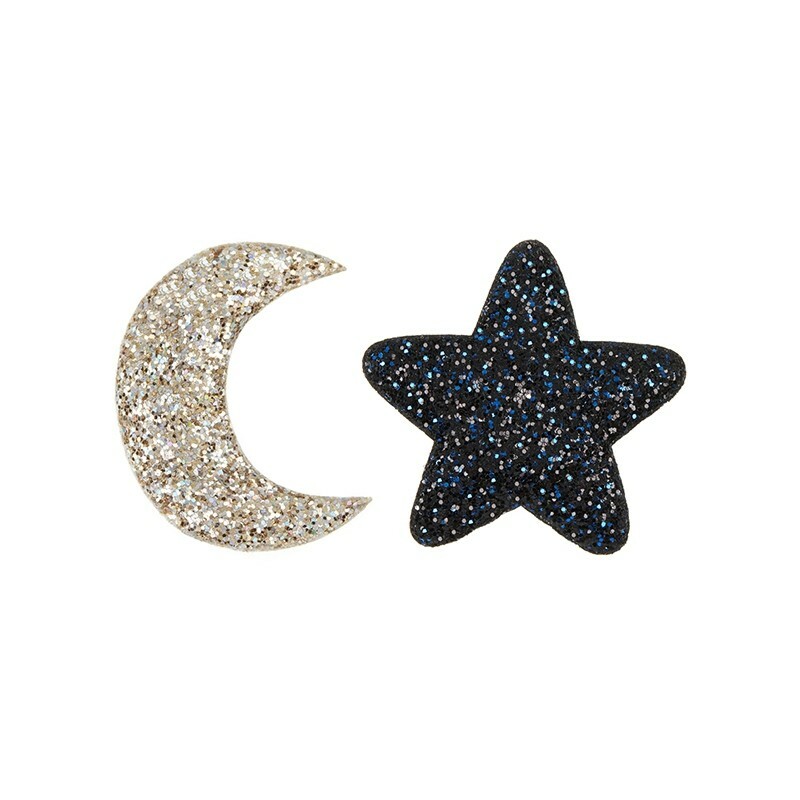 Night Blue glitter Star andgold glitter moon, these clips are made of fabric and are attached to a pliers of 35 mm. 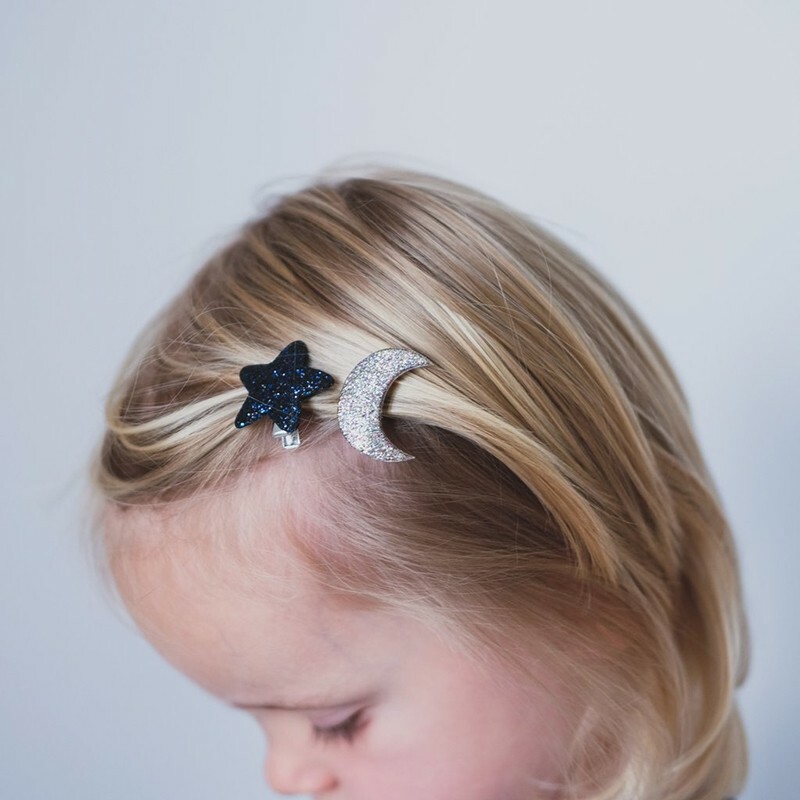 2 assorted clips in a pack.